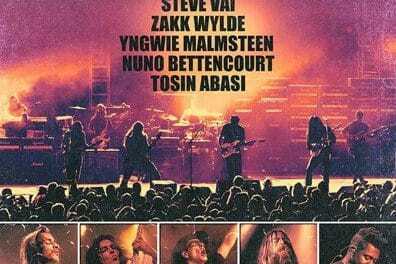 Guitarist Steve Vai was recently interviewed by The Morning Call and spoke about Generation Axe, which features five prominent guitarists consisting of himself, Yngwie J. Malmsteen, Nuno Bettencourt (Extreme), Zakk Wylde (Ozzy Osbourne, Black Label Society) and Tosin Abasi. 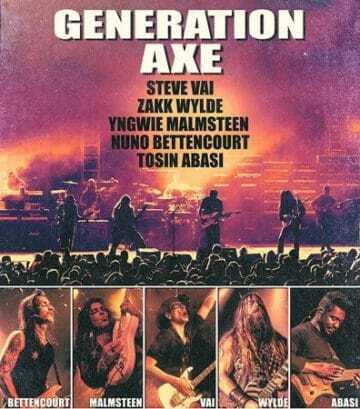 In terms of how Generation Axe came together, Vai advised: “Yeah. It was an idea that I had many years ago. One of the great things about being a musician or in any field that sort of demands your creativity, is you get to kind of come up with all these crazy ideas. And then I’ve always felt very free to execute them when the time was right. “So this Generation Axe idea was kicking around for many years. And the idea was to create one backing band so that there’s this seamless show with five crazy guitar players coming on and off the stage in sort of different incarnations, doing really amazing, wonderful things. And it’s like a celebration of the guitar, you know? “I love the sound of the guitar. I love the sound of guitars in harmony. And so some parts of the show are very orchestrated for five guitars, which is relatively unique for a live performance. “And everybody sort of – all of the players, and it’s myself, Yngwie Malmsteen, Zakk Wylde, Nuno Bettencourt and Tosin Abasi – we’re all very accomplished players, but have a particular voice; any rock-metal genre. So there’s great diversity in those voices, although they fall within the same playground, so to speak. “And that was the feeling for this Generation Axe thing. And I couldn’t have been more spot on with my allowing the universe to inspire the idea and executing it. Because it’s just a great thing. And it’s been great and it continues to be fun. It’s just a great experience being on tour with these guys. “Well, there was obvious hurdles to get over that are just logistics. And then the big question mark over everybody’s head – which was, ‘We’re all kind of intense people. How is this gonna work? How are we not gonna kill each other? Or something like that. “I got a call from Zakk the night before the first day we left, and he said, ‘Are we really gonna be living on a tour bus together with Nuno and Yngwie, and I said, ‘Yup! And it’s gonna be your favorite part of the tour. “And sure enough, once we got over some of the hurdles, you just realized you just accept everybody for what they are – you don’t take anything personally. And you support them. You support. And once you’re supporting somebody selflessly – I mean, you really have to feel that appreciation for them. “So when I think about these guys, I immediately think about all the things that I appreciate about them and then that’s the person you meet. “So after a few bumps in the road, so to speak – which were just the ironing out of personal kind of vibrations, so to speak, it just turned into just a lovefest, you know? We really enjoyed being with each other. 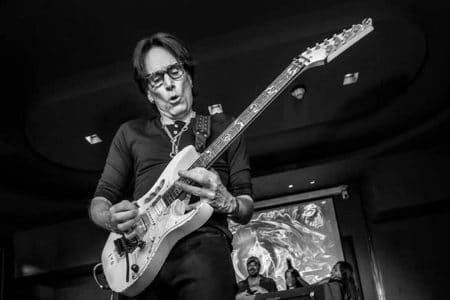 You can read the rest of the interview with Steve Vai at The Morning Call.